Some people seem unaffected by wind turbine noise and vibrations, but it is the same with many other things, such as motion sickness. Some people have it; some don’t. But Wind Turbine Syndrome is much worse than motion sickness because at least you can get away from whatever it is that is making you sick. Imagine if you couldn’t. People who live around wind turbines can’t move to get away from it. 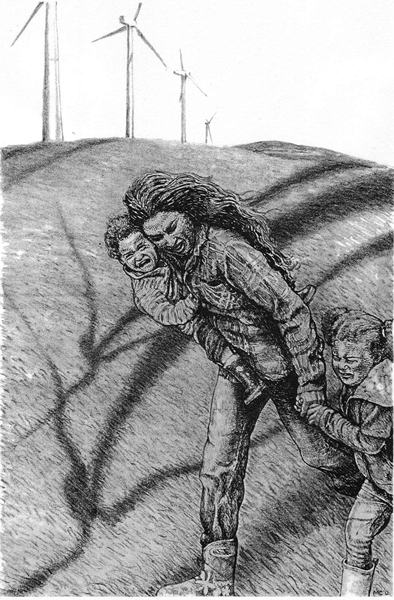 They are forced to live in unbearable conditions, since no one would want to buy their home after wind turbines start operating nearby. Anyone can have Wind Turbine Syndrome, but people most sensitive to wind turbine noise are the elderly, children and people with certain medical conditions, such as migraines, Meneire’s Disease and autism spectrum disorders. 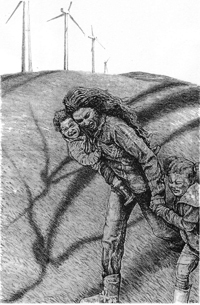 People or children with autism, Asperger’s syndrome or attention deficit hyperactivity disorder, have senses that are already overstimulated by their environment, so placing wind turbines near their home would make life unbearable for them. One study revealed sleep deprivation, headaches and depression in a boy with Asperger’s syndrome after wind turbines were put in near his home. Two pediatricians have told me wind turbine noise would be harmful to the nervous systems of any children, especially if the child had autism spectrum disorder or an other disorder. It is so disturbing that our state has 40 wind development sites (27 have towers testing for wind, five sites have their permits under review or appealed, two sites are under construction and six are operational), and the list is growing. Most people in Maine don’t know all the facts. People should learn the facts and not believe lies from wind developers. The actions of wind developers will continue to make life unbearable for the people of Maine unless something is done to stop them.